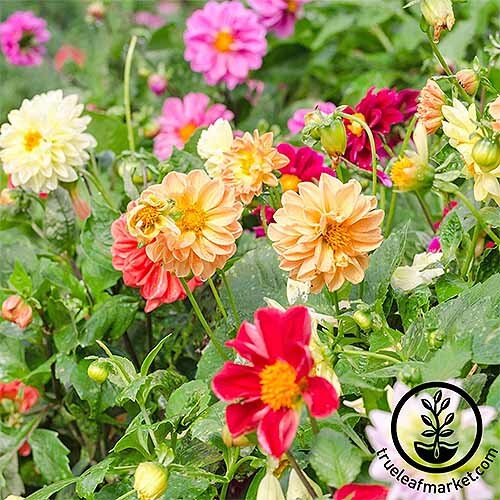 Dahlias are brilliantly colorful flowers that put on a delightful, splashy display from mid-summer until the first frost. Their pinwheel blossoms and eye-catching colors come at a time when many plants are lagging and past their best. And just as the garden needs a fresh burst of vibrant color, the dahlia presents her lovely blossoms on cue. 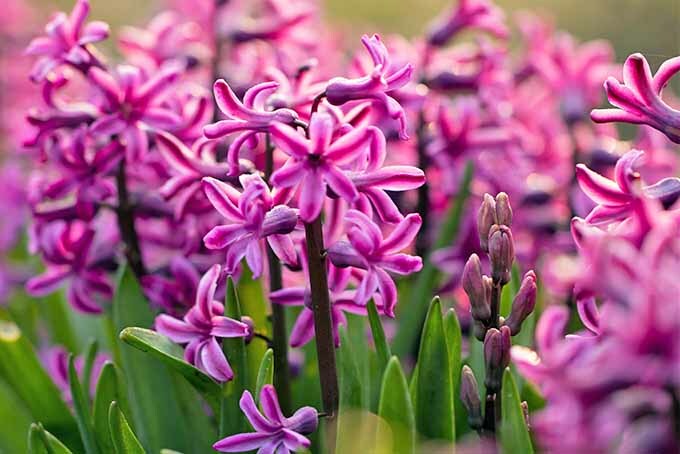 A tuberous, tender perennial native to the uplands and mountains of Mexico and Guatemala, they bloom annually, producing numerous flower heads on multiple stalks. A member of the Asteraceae family, which is from the old Greek for “star,” the dahlia flower is typically star-shaped. 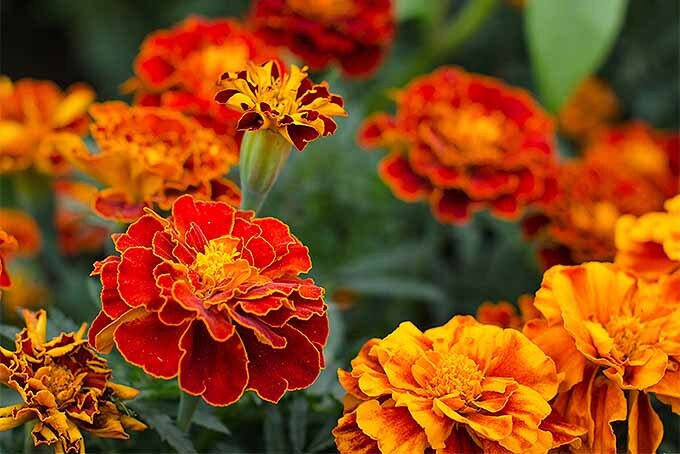 Similar star-shaped flowers are also seen in other family members such as chrysanthemum, daisy, marigold, sunflower, and zinnia. 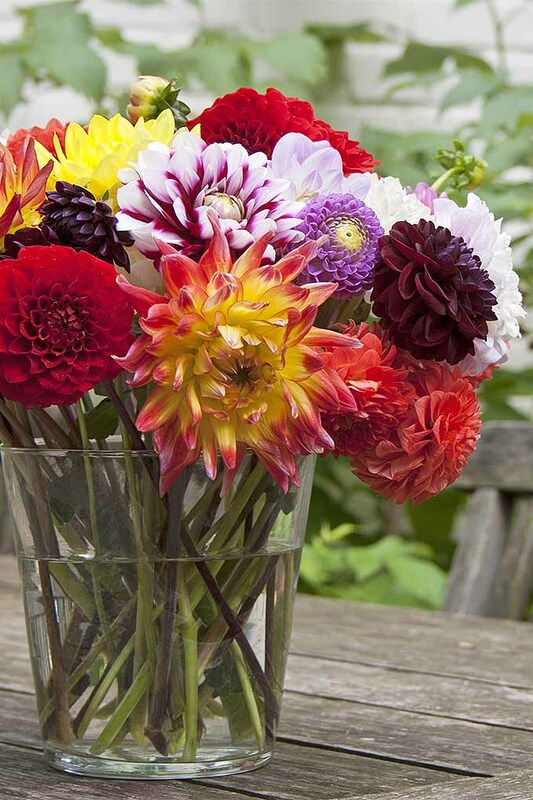 And, dahlias make some of the best cut flowers for floral arrangements! Bright, showy, and with a fascinating geometry, they put on a long-lasting display in a vase. From the New World, dahlias were first chronicled under the name acocotli, or “water pipe flower,” by Spaniard Francisco Hernandez in 1570. 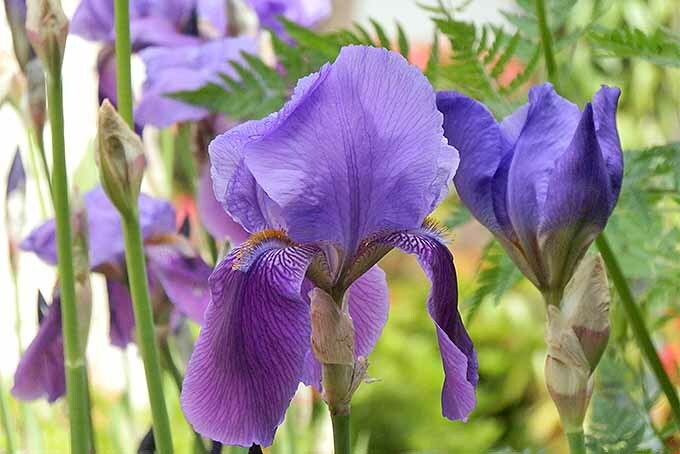 However, they didn’t make their European debut (at the botanical gardens in Madrid) until the late 1700s, about the same time they were named for Swedish botanist and environmentalist Andreas Dahl. 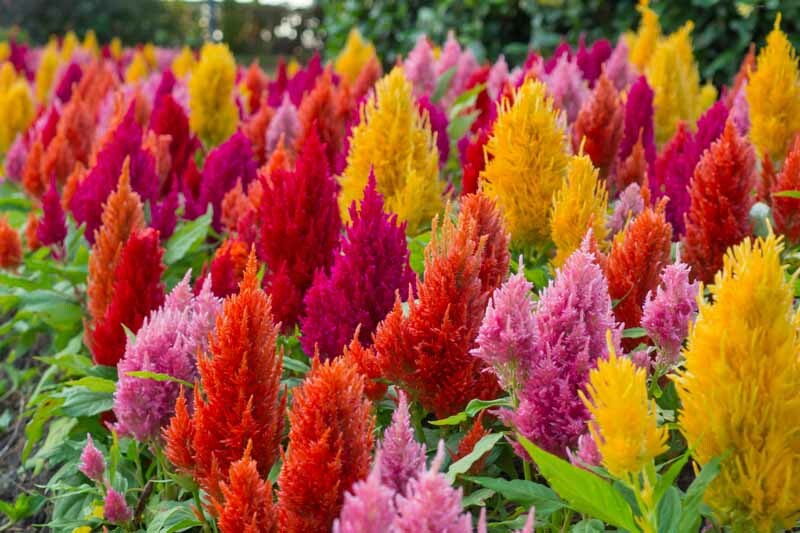 Today, there are over 40 cultivars for the home garden, available in an amazing variety of colors, sizes, and shapes. 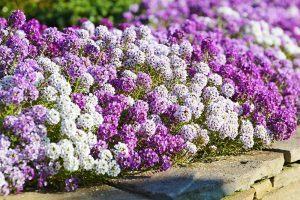 Flower sizes can be small, like the 2-inch patio varieties, while large, dinner-plate types can have flowers as big as 14 inches. Plant heights are equally diverse, ranging from dwarf varieties of 12 inches, to the towering D. imperialis, which can grow to 25 feet! Many of the taller varieties also feature large flower heads, which may require staking if they become top heavy. 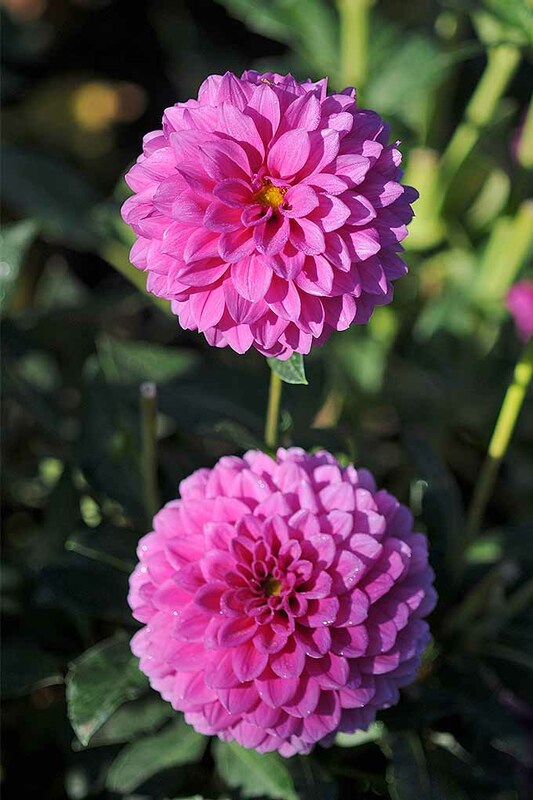 Dahlias have no scent and attract pollinators like bees with vibrant displays of bright colors – available today in almost every shade you could ask for, except for true blue. 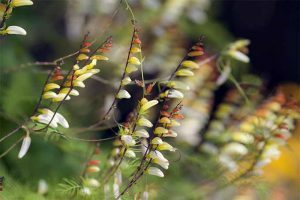 Although they hail from Mesoamerica and like plenty of sunlight, they won’t do well in areas with excessive heat or humidity. They prefer cooler temperatures similar to those of their native highlands. 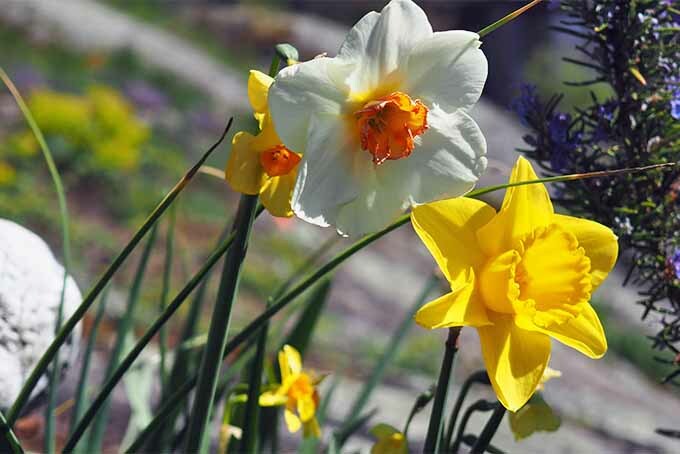 With a long season, they bloom from early summer until autumn, and will keep flowering until killed off by frost. 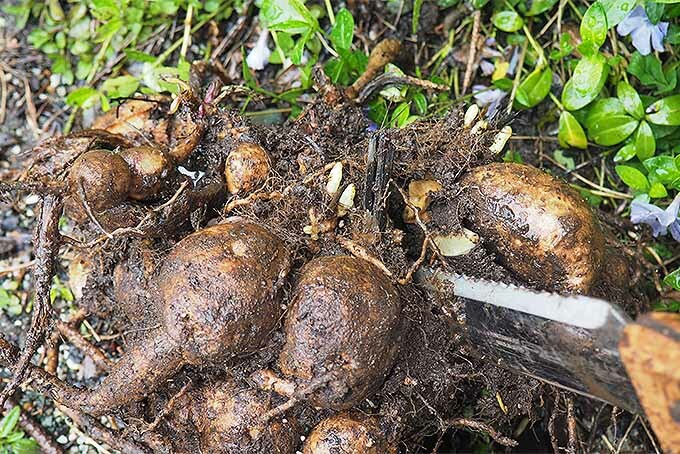 In areas with moderate to cold winters, the tubers will need to be dug up and stored before freezing temperatures arrive, as they’re only reliably hardy to Zone 8. 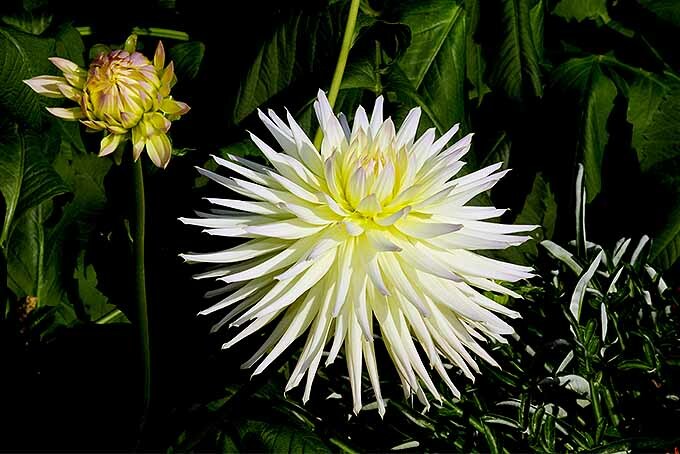 Now here’s a fun feature about dahlias – the more flowers you cut, the more they’ll bloom! For floral arrangements, cut a long stem of 12 inches, even if you need to include the two side buds. 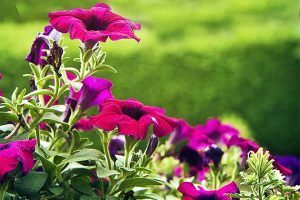 These side buds are usually smaller and weaker flowers, and removing them actually promotes more growth, while keeping the plant size healthy and manageable. 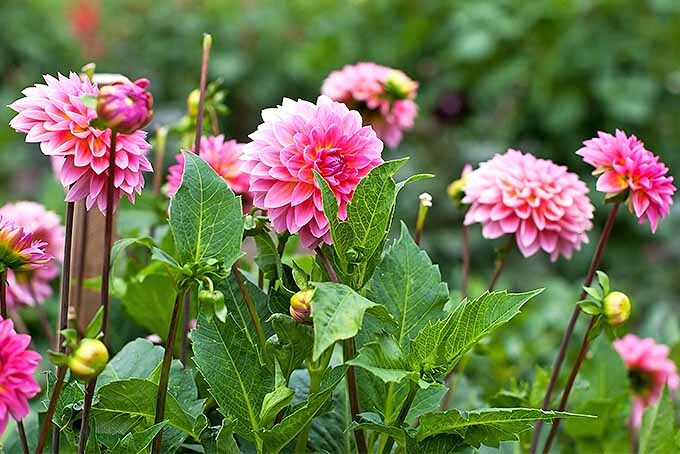 Dahlias can be planted in spring once the soil temperature has warmed to around 55 to 60°F – or around the same time that corn, tomatoes, and potatoes are planted in your area. They need a location that receives 6 to 8 hours of sunlight each day, preferably with some afternoon shade, and good drainage. 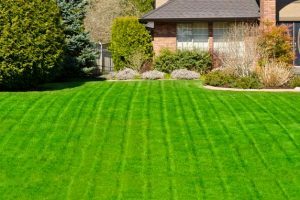 Regular garden soil is sufficient, and should be amended with a spadeful of organic materials, like compost or well-rotted manure. These tubers like to be planted in mounded soil about 4 to 6 inches deep, with eye buds pointing skyward. Mounding provides warmer soil and better drainage, and its loose texture makes it easier to create new tubers. It also makes lifting the tubers in fall faster and easier. Avoid watering at the time of planting, unless you’re in a very dry area. Regular springtime precipitation should be adequate, as overly soggy conditions may cause newly planted tubers to rot. Wait until the first leaves break the soil before watering. Then, give them a good, deep soak 2 to 3 times per week. Allow the top soil to dry out between watering, but for consistent growth, ensure the roots stay moist. 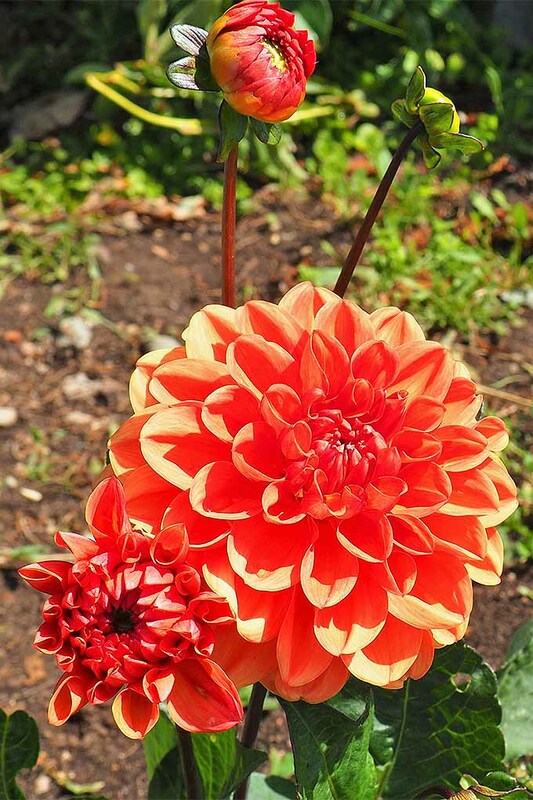 Dahlias are squirrel and deer resistant. But slugs and snails do enjoy munching on tender new growth, just as the leaves and stems emerge from the soil. If these slimy gastropods are a problem for you, read our article on the best – and safest – methods to rid your garden of slugs and snails. Powdery mildew can sometimes appear on dahlias, particularly in cool, damp conditions. Remove any damaged leaves and stems, and ensure your plants have adequate air circulation and drainage. 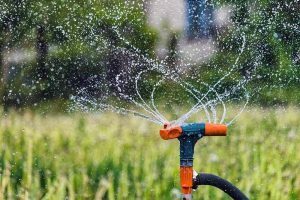 Avoid overhead watering and overwatering in general, and allow the surface soil to dry out between less frequent, but deeper watering. 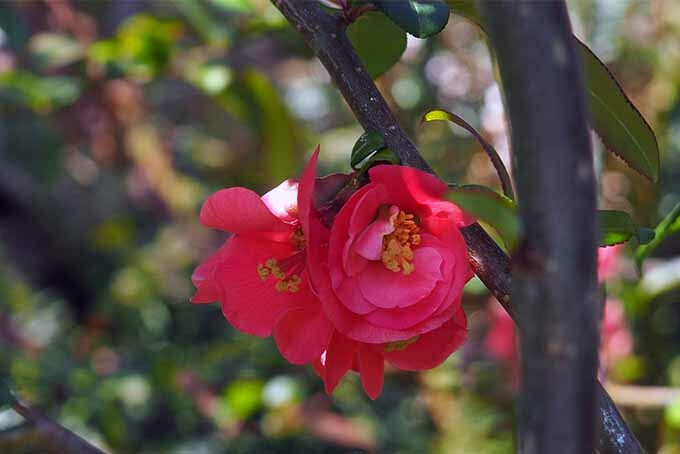 To promote a compact shape with more flowers, pinch out the main stem early in the growing season. Pinch the larger-flowered varieties just above the third set of full leaves. 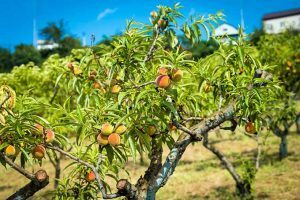 And for ones with smaller blossoms, allow the plants to grow until they’re 12 to 18 inches high, then pinch above the fourth or fifth full set of leaves. 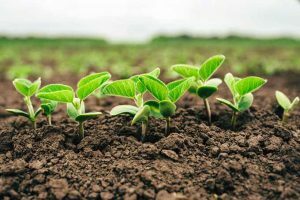 A low nitrogen fertilizer of 5-10-10 can be applied one month after planting, and once again 30 days later. Avoid over-fertilizing, as too much will promote robust leaf growth with a low blossom count. 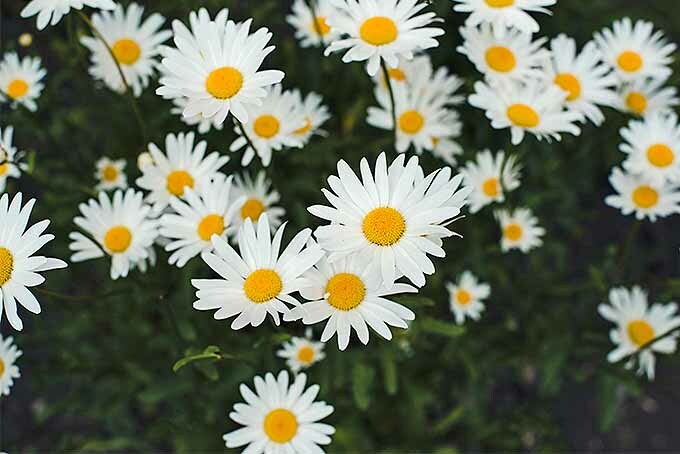 Small to medium-sized flowers take approximately 90 days to bloom, while the larger ones can take as long as 120 days. Digging and dividing tubers will keep your plants strong and healthy, produce more flowers, and create new tubers for yearly propagation. Left in the ground, the tubers can form a massive clump, producing more and more stems with progressively smaller and fewer flowers – until the clump eventually stops growing. And as they like to feel a touch of cold, don’t be too quick to dig them up in the fall. Wait a couple of weeks after the first frost, when all the foliage has died back. Or, if you don’t receive freezing temperatures, dig up by mid-November. Cut the stems back to 4 to 6 inches, then loosen and lift the tubers with a fork or spade. Shake or brush off excess soil, and allow to air dry for a few days in a spot with temperatures above freezing. 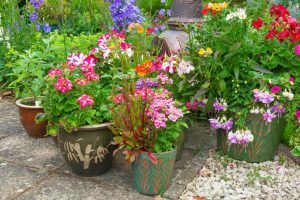 Place the clump in a bin or cardboard box and layer with a material such as sand, peat moss, or vermiculite, then store in a dark, dry spot with ideal temperatures of 40 to 50°F. 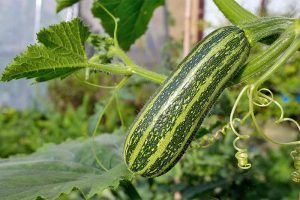 If you chose to leave the tubers in the ground over winter, cut the stalks down and provide a thick layer of dry mulch for protection. 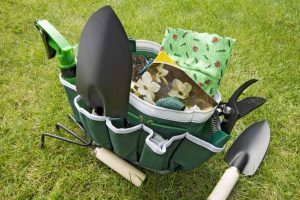 Dig and divide in the spring, dry for a few days, and plant when appropriate for your area. 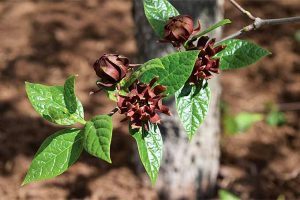 For propagation, divide tubers in the spring using a sharp knife, ensuring each new piece has a bud or “eye” of new growth. Then, allow the fresh cuts to dry for a few days before planting. Or, you can try growing them from seeds – although germination can be a bit spotty. Sow indoors in early spring, and germination will occur in 7 to 21 days, provided soil and seed are kept warm and damp, but not wet. 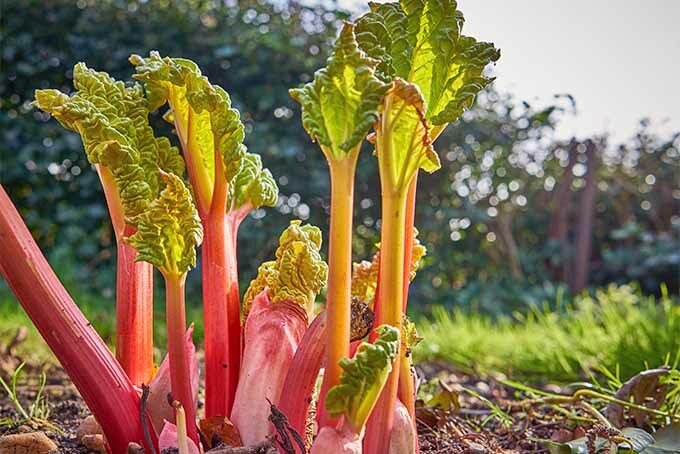 Plant outdoors once soil temperatures are warm enough, and stems have two true sets of leaves. 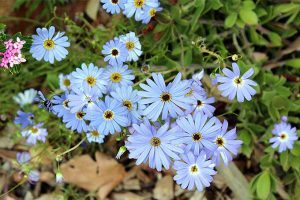 The family name Asteraceae refers to the flower’s appearance – like a star with surrounding rays. Dahlias are available in all shades except blue. In the mid-1800s, the Caledonia Horticultural Society of Edinburgh posed a reward of £2,000 for the first breeder to produce a blue dahlia – a reward that remains unclaimed to this day, although many have come close. Reliably hardy in Zones 8-11. 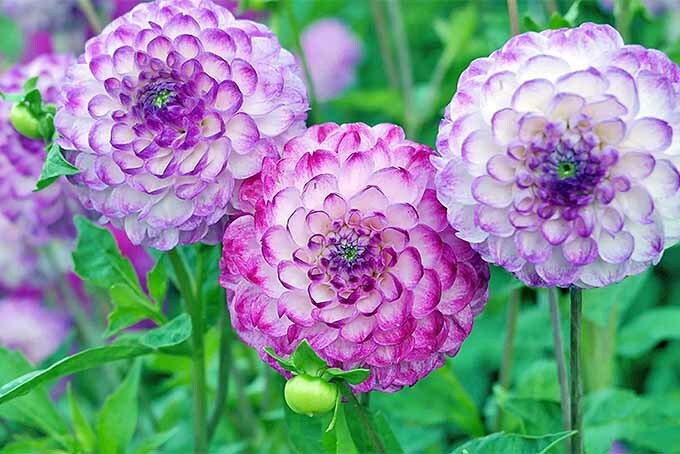 Tubers in all zones should be dug and divided annually for propagation, and to maintain healthy growth with abundant flowers. Once a food crop used by the Aztecs, the plant was called acocotli, or water pipe flower. 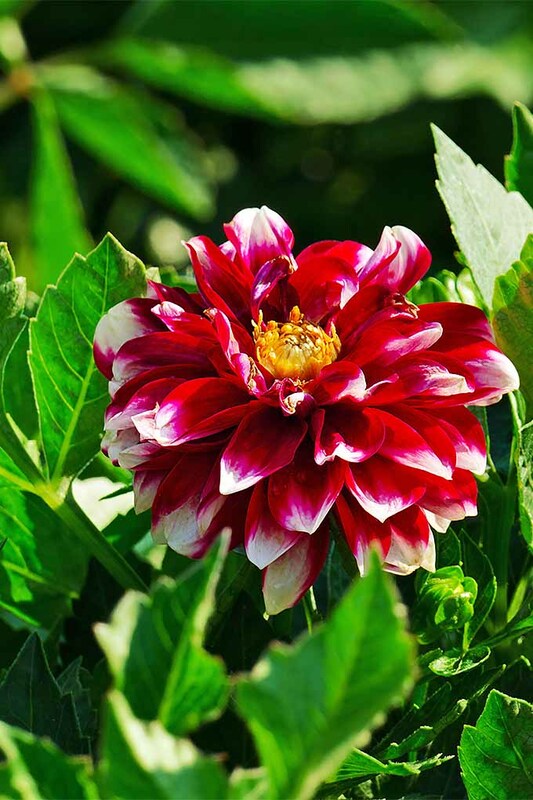 Dahlias have been the official national flower of Mexico since 1963. 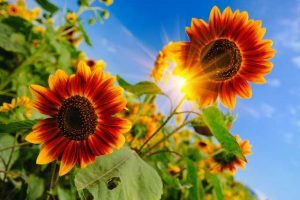 To flourish, they require 6-8 hours of sunshine. Plant in average soil, with good drainage. ‘Figaro’ seeds are available in a mix from True Leaf Market in red, violet, white, and shades of yellow and orange. 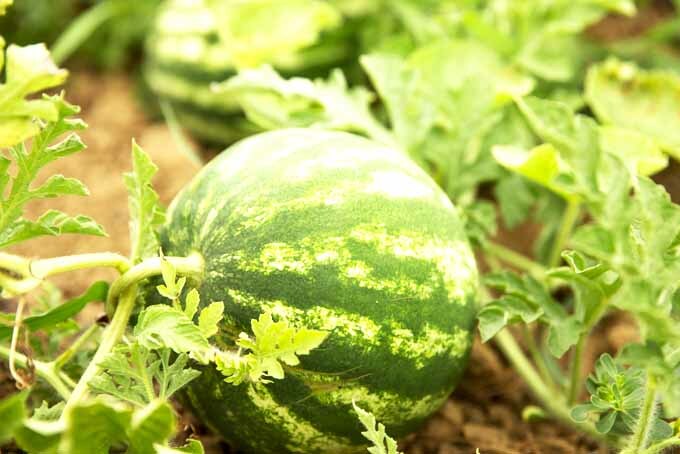 This variety reaches 10 to 12 inches with nearly 3-inch blossoms appearing in just 70 days. 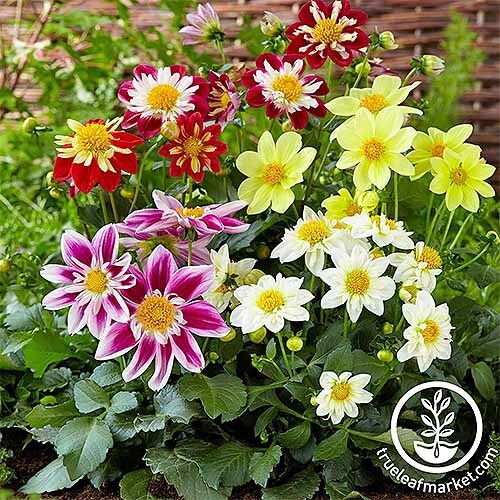 This mix includes both single and double blooms. ‘Halequin’ seeds are also available from True Leaf Market. ‘Harlequin’ is a D. pinnata cultivar that grows to be 14 to 16 inches. This early flowering bicolor features contrasting colors in shades of pink, white, red, and yellow with semi-double blooms. And tubers like these from Holland Bulb Farm are available via Amazon. 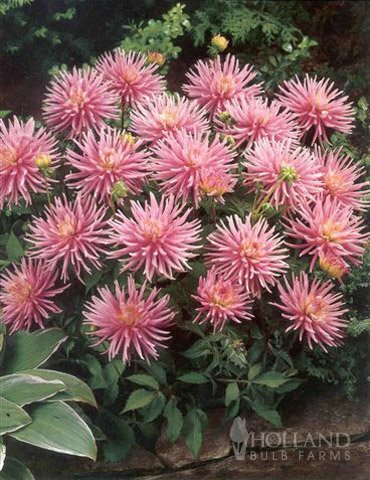 Three tubers are sold per package, and this pink variety grows to 24 inches in height. Dahlias make a bright and bold addition to the late summer garden. 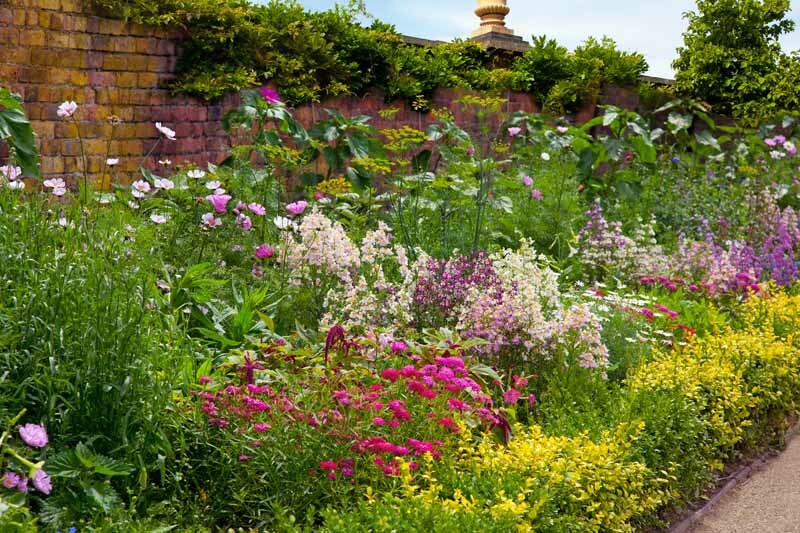 And although they require a little bit of extra care, they repay the attention in spades with a long, showy season and vases full of beautiful cut flowers. For best results, divide tubers annually and plant in the spring once temperatures have warmed. Provide them with full sunlight, water deeply twice a week, and ensure they have a well-drained site. Once the frost arrives, dig them up and store for the winter. 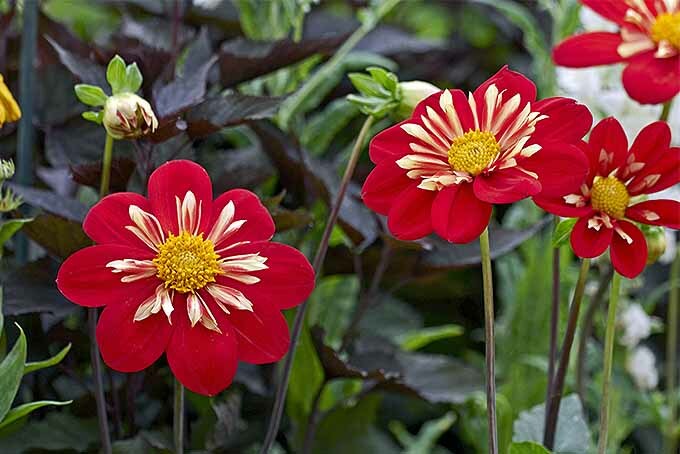 How about you folks, any questions or problems about dahlia care that we can help you with? Drop us a line in the comments below, or join us on our Facebook page! Photos by Lorna Kring, © Ask the Experts, LLC. ALL RIGHTS RESERVED. See our TOS for more details. Product photos via True Leaf Market and Holland Bulb Farm. Uncredited photos: Shutterstock.